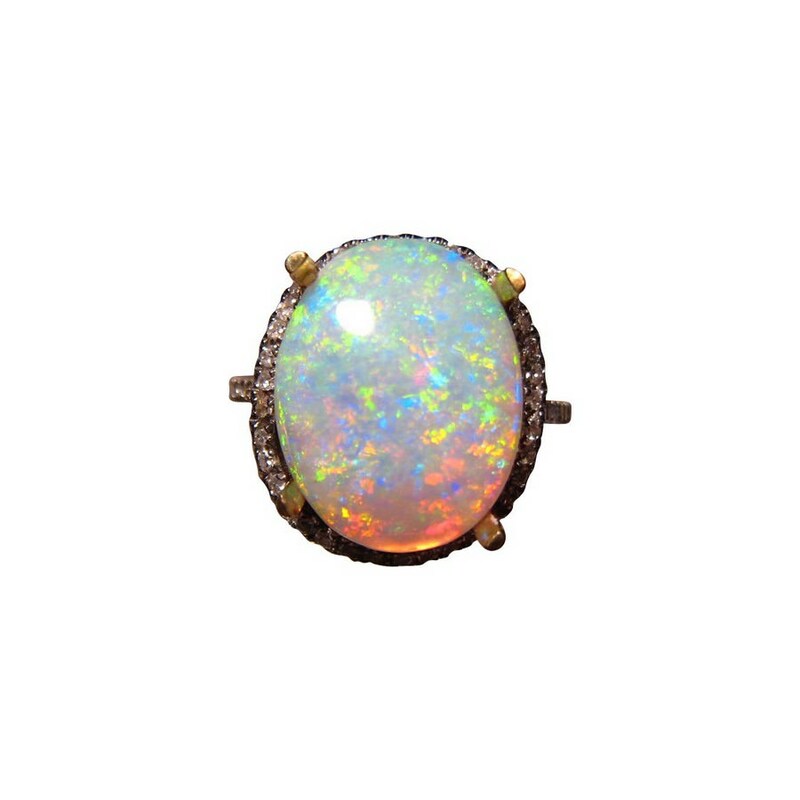 An Opal and Diamond Ring in 14k Gold featuring a Crystal Opal with a great mix of very bright colors. 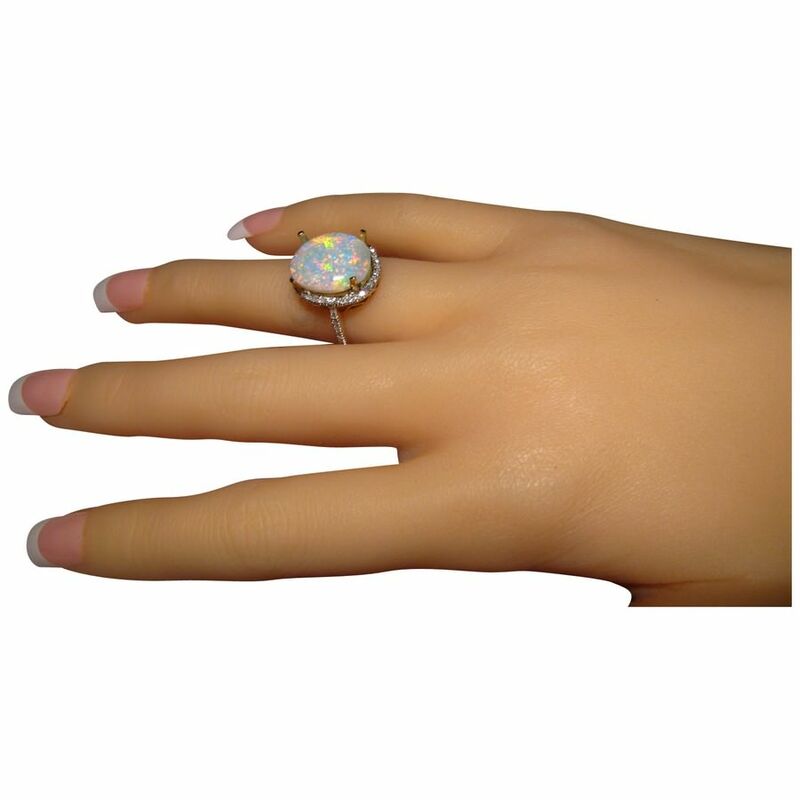 A quality Opal ring with Diamonds featuring a beautiful oval Coober Pedy Crystal Opal weighing over 4 carats that has a mix of colors that are very bright in a 3D pattern which you will see in the video below. 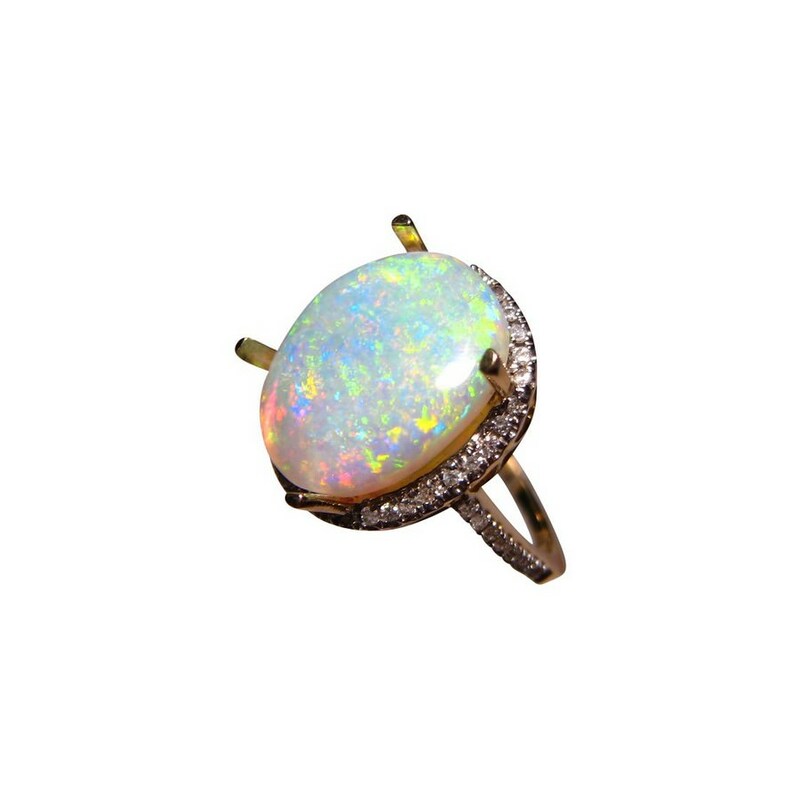 There is a halo of small bright Diamonds around the Opal and on the band which is shown in 14k Yellow Gold. 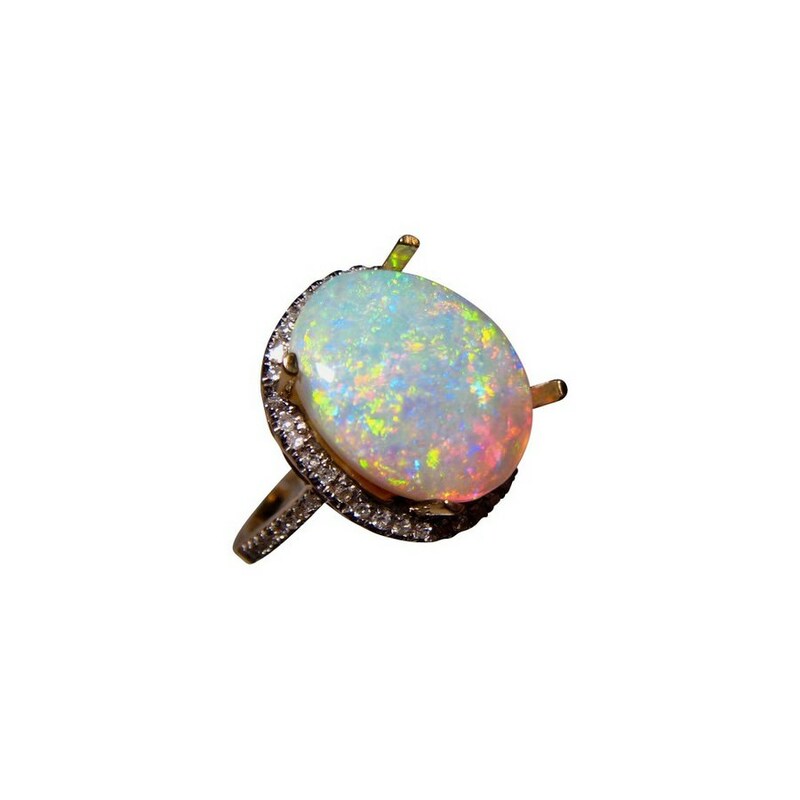 As the Opal is not yet set, the ring can be made in White or Rose Gold or any aspect of the design can be changed. Simply inquire through this product for a no obligation quote. 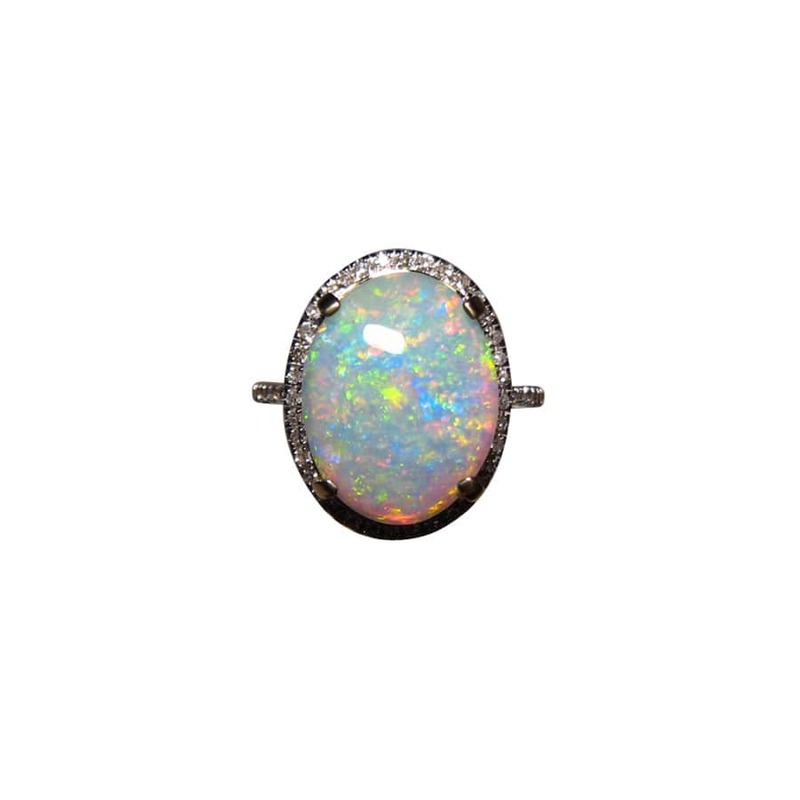 This impressive Opal ring will stand out on the hand and could be considered for an engagement ring. 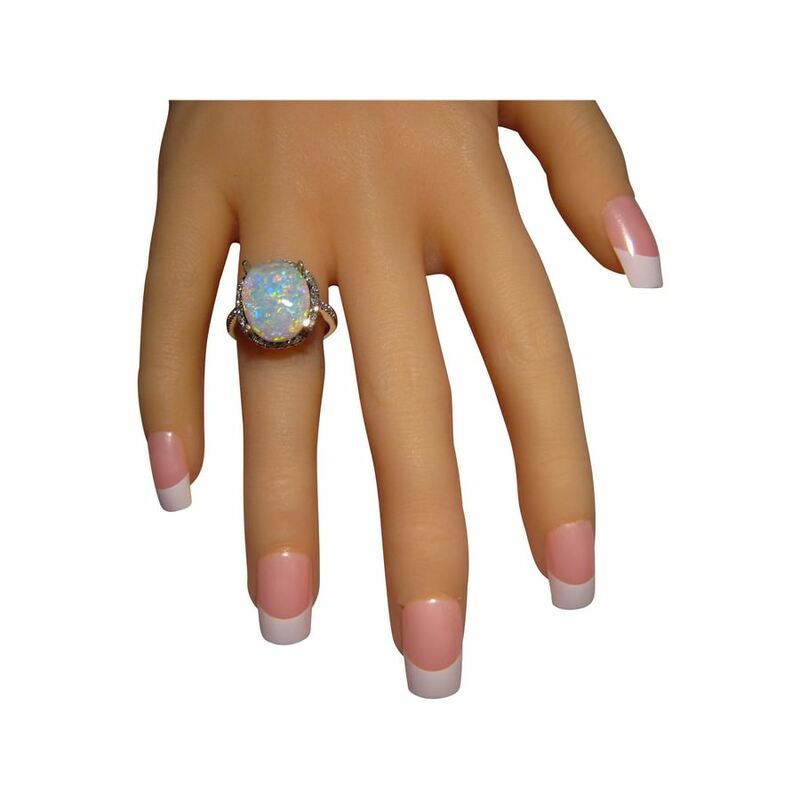 It is ready to ship in USA size 7.25 will take about 14-21 days to make in any other ring size or choice of Gold color before shipping.